For the CNBC employees who boarded a charter plane right after Wednesday's bruising GOP debate, the redeye flight was physically smooth but emotionally turbulent. "We were shell-shocked," one source said. At 12:30 p.m. Thursday they found out: 14 million people watched, easily making the much-derided debate the most-watched program in CNBC's 30-year history. Because advertisers paid $250,000 apiece, it was "also the most profitable night in the network's history," an NBCUniversal executive crowed. There was simultaneous crowing and cringing on Thursday. Employees who spoke on condition of anonymity for this story wished for a "do-over" and pointed fingers of blame for the chaotic production. Some pointed all the way up to CNBC president Mark Hoffman, who was also aboard Wednesday night's charter. "Everyone feels pretty embarrassed," one veteran staffer said. Now there are even calls for changes to future primary debates and predictions that CNBC won't be in the running to host a debate four years from now. 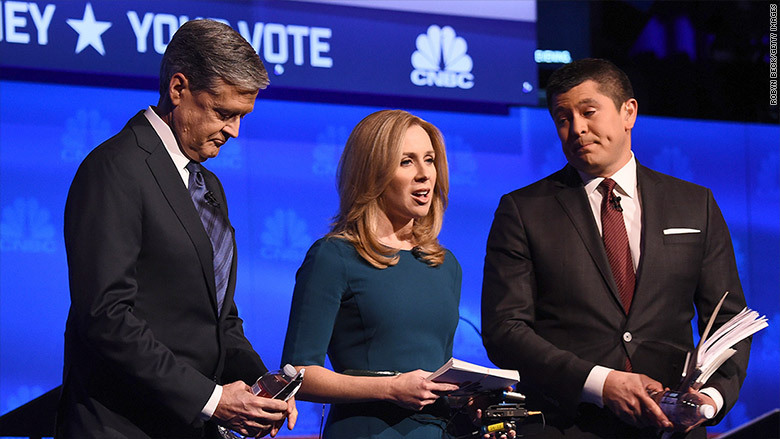 But some of the same CNBC employees also said they were proud that the moderators had pointedly challenged the GOP candidates and potentially changed the course of the presidential race. And there's been some media bashing inside the network, just as there was media bashing by the candidates on stage on Wednesday night. Some staffers at CNBC feel that outside journalists have unfairly ganged up on the network rather than focusing on the candidates' misstatements and grandstanding moments. After the debate, staffers wondered aloud: Will people remember the gripes about Quintanilla, Quick and John Harwood? 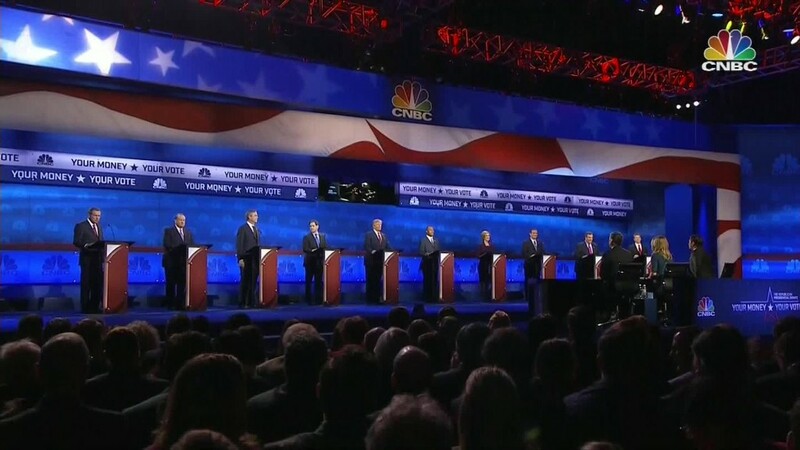 Will they remember the audience's boos and the analysts' comments that CNBC "lost control" of the debate? They second-guessed the opening question of the debate, when Quintanilla asked each candidate, "What is your biggest weakness and what are you doing to address it?" Did it start the debate off on the wrong track? There was also disappointment about Quick's handling of Donald Trump. Toward the end of the debate she asked a question about Mark Zuckerberg that was accurate, but then said "my apologies" to Trump when he disputed it. CNBC debate moderators Carl Quintanilla, Becky Quick and John Harwood. If there was introspection in the air during the overnight flight, the network isn't saying. The only statement CNBC released was one sentence right after the debate, around the same time the RNC joined candidates in condemning the debate questioning and said CNBC should be "ashamed." "People who want to be President of the United States should be able to answer tough questions," CNBC spokesman Brian Steel said in an email. As the day went on, there was less and less talk about the debate on CNBC. According to one of the employees, producers were given internal guidance to move on. At CNBC's sister news outlets MSNBC and NBC News, producers were advised not to "pile on" the moderator controversy, according to people there. When it came to production of the debate, CNBC was on its own. The network collaborates with NBC News, but it operates independently. 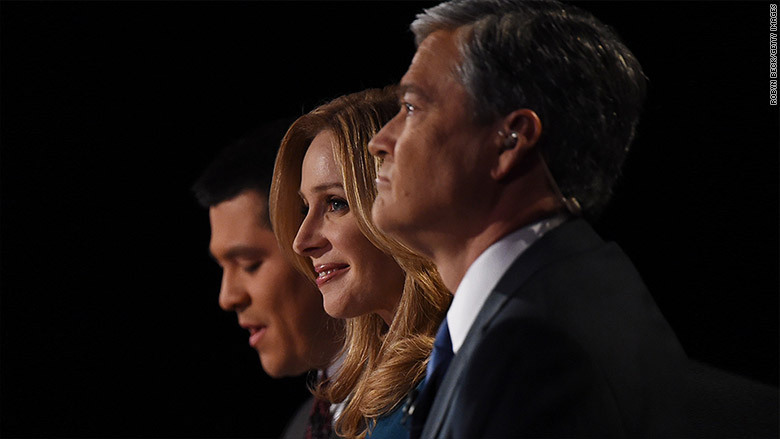 In NBC's halls on Thursday, there was chatter about whether the debate would've benefited if NBC's political reporters and managers had been involved. There was no official debrief between the moderators, producers and management on Thursday. Key people were either busy anchoring their newscasts or navigating the fallout from the debate. By Thursday night CNBC's web site was dominated by market stories again. The main debate story, "here's who won...and who lost" only mentioned the moderator controversies in passing.